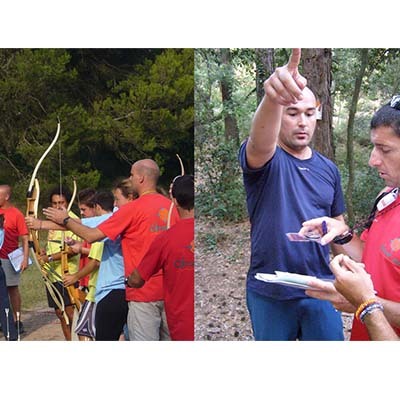 If you want to enjoy a relaxing day in the fresh air, if you like the idea of working in small teams using various orienteering techniques, if you want to have fun solving curious enigmas and honing your marksmanship, then this is the activity for you. Following the indications of the compass, constructing hidden messages and hitting the target: only then will you be the winning team! *1 guide per 10 participants.